The documents are translated by native Russian and Ukrainian speakers that have more then 20 years of translation experience. They are fluent in Ukrainian, Russian, English and German languages. Beside Russian Legal Translation services, we also provide Ukrainian translation. If you need your project to be translated both into Russian and Ukrainian, we will be able to offer you a 15% discount for translation and proofreading services for your particular project. 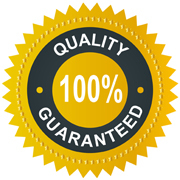 The rate for Legal Translation Services starts from $0.08 per word. To get a quick quote for your translation project, please e-mail us. Russian-Translation.ru is committed to provide its clients with the highest quality Russian Legal translation services by assigning a project manager and a team of language professionals (translators and proof-readers/editors) to each client's project. The team system allows for errors to be picked up and to provide high quality translation. Turnaround time depends on the size and complexity of your project and the number of languages into which the documents need to be translated. We will estimate the turnaround time for your project based on your documents and project requirements. High Quality Russian Legal Translation Services !